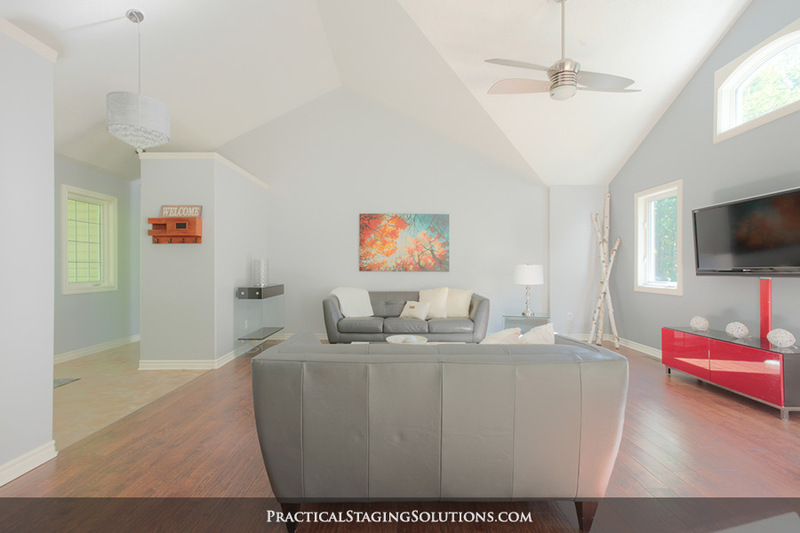 Providing affordable home staging services to maximize home equity. 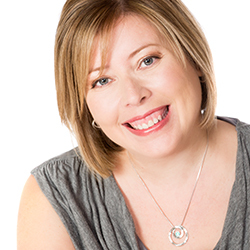 Every property has its own challenges when preparing to sell. 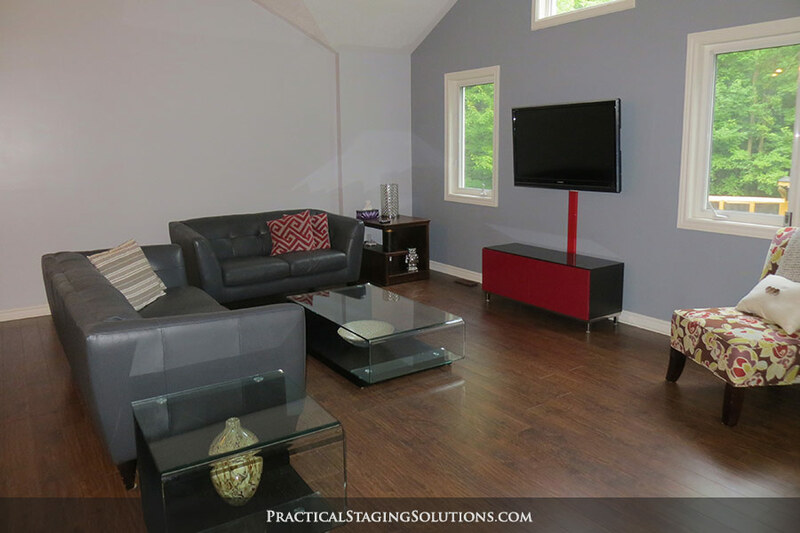 This property was a semi furnished/vacant home in a rural setting. 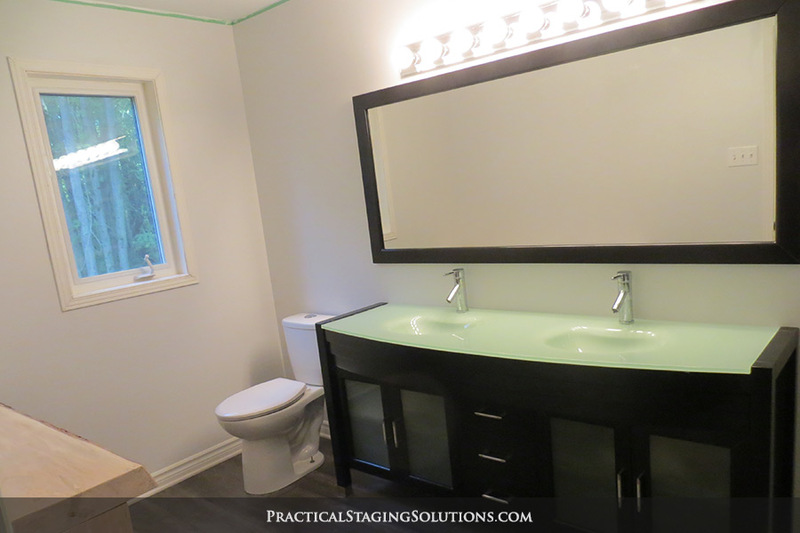 The owners were in a situation where they needed to sell quickly and without added expenses. 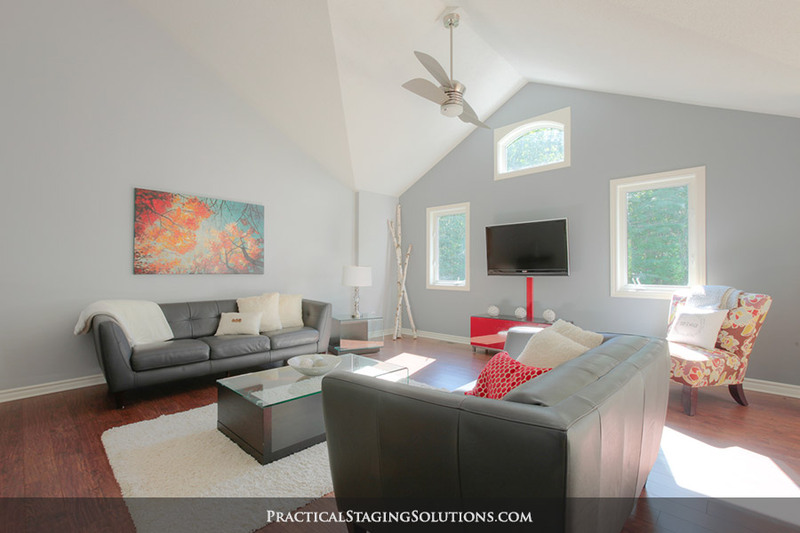 The budget for staging to sell was low and the time frame, tight. The initial consult revealed that the space lacked a ‘Wow’ factor. 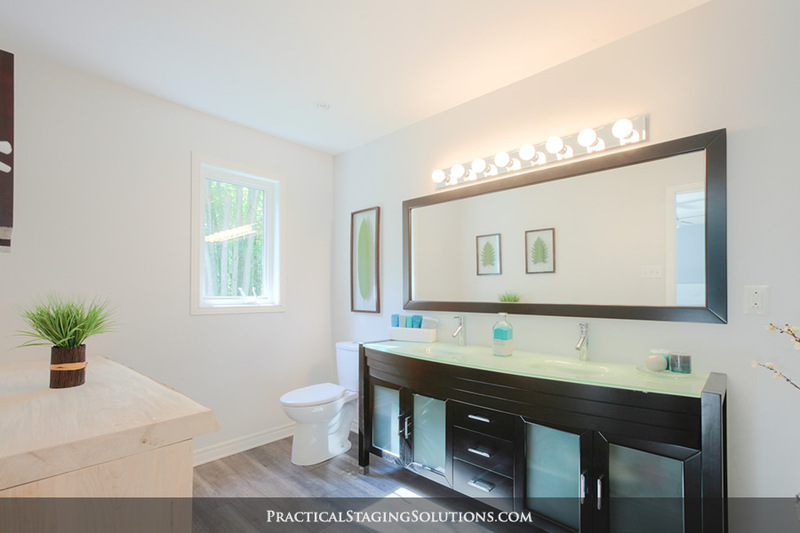 It required furniture placement to maximize the open concept floor plan, decor inventory items to add lighting, warmth, texture and colour. My goal was to create a bright, airy open concept style utilizing nature out the window being the focal point. 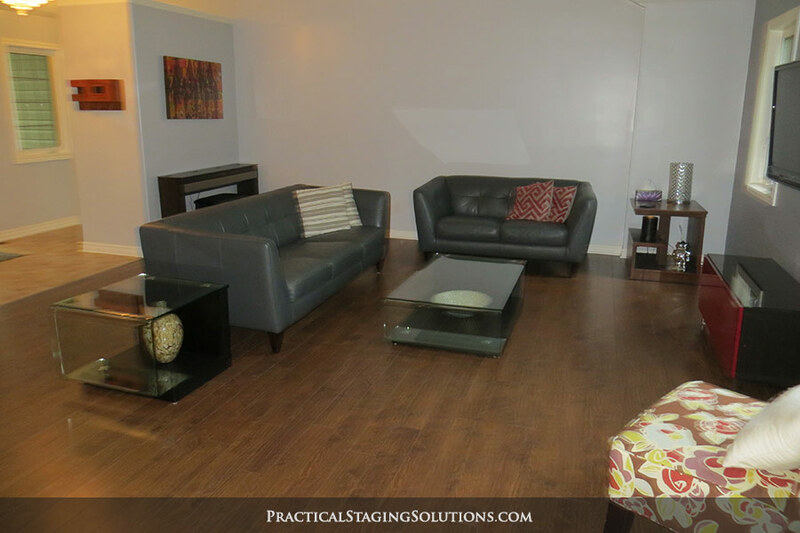 Practical Staging Solutions worked within a short time frame, speed staging with some modern inventory pieces to add interest, warmth and texture to the space. 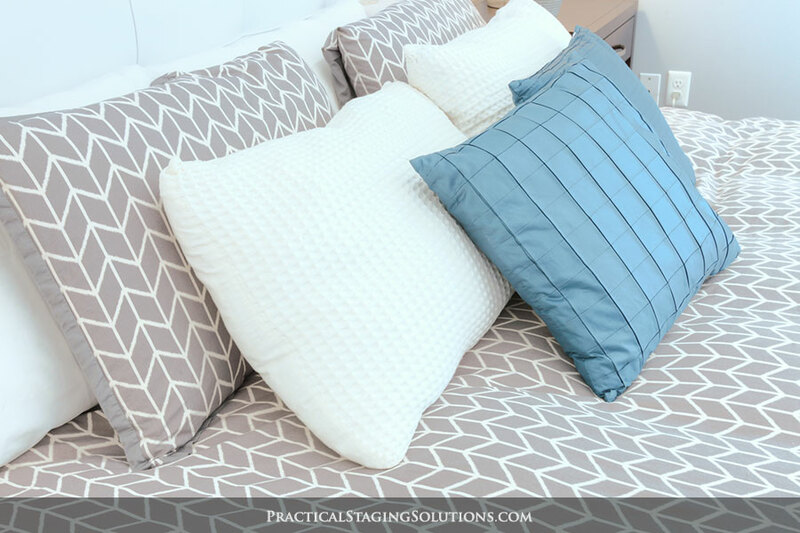 The clients used the services of a professional real estate agent who provided complimentary pre-listing home readiness/staging and professional photography. 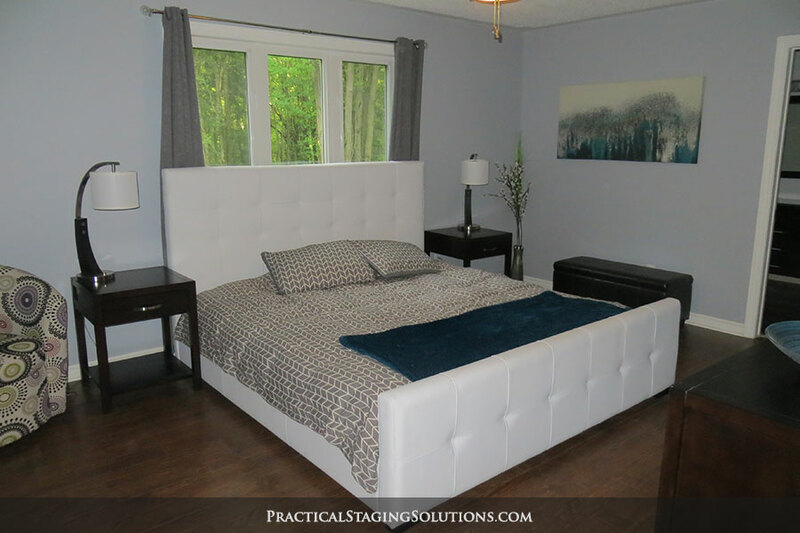 The property was marketed on social media extensively by the agent and Practical Staging Solutions. The property sold in 2 days! I love spending time with family, travelling & decorating. My creative vision is transforming spaces for living or selling. Let’s get started.